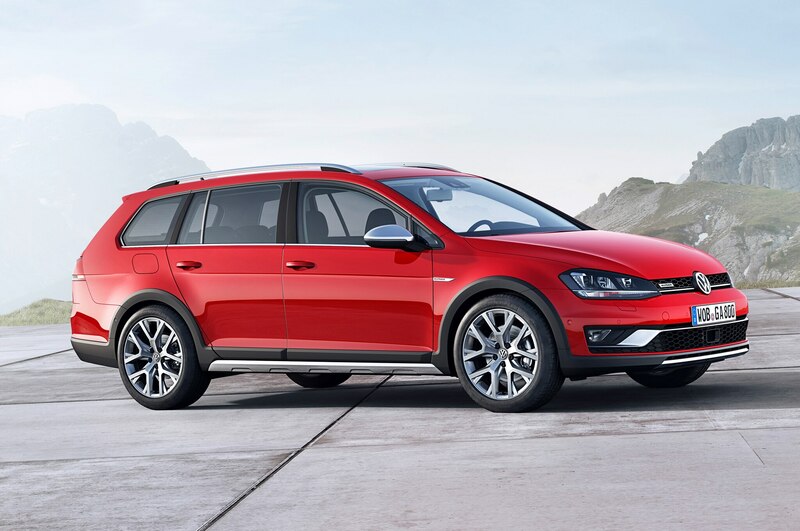 As we reported late last year, an all-wheel-drive version of the new Volkswagen Golf SportWagen is coming to the U.S. 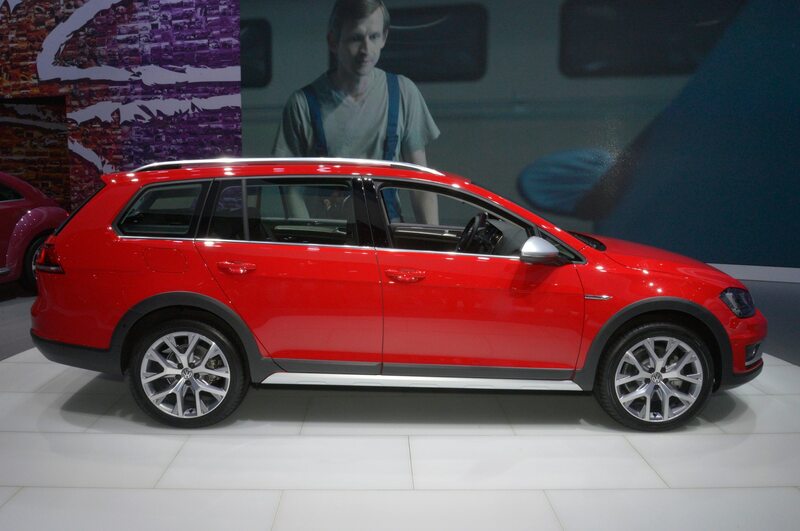 The 2017 Volkswagen Golf SportWagen Alltrack goes on sale next year with a more rugged design to help it compete with small crossovers. The tough wagon makes its debut this week at the 2015 New York auto show. 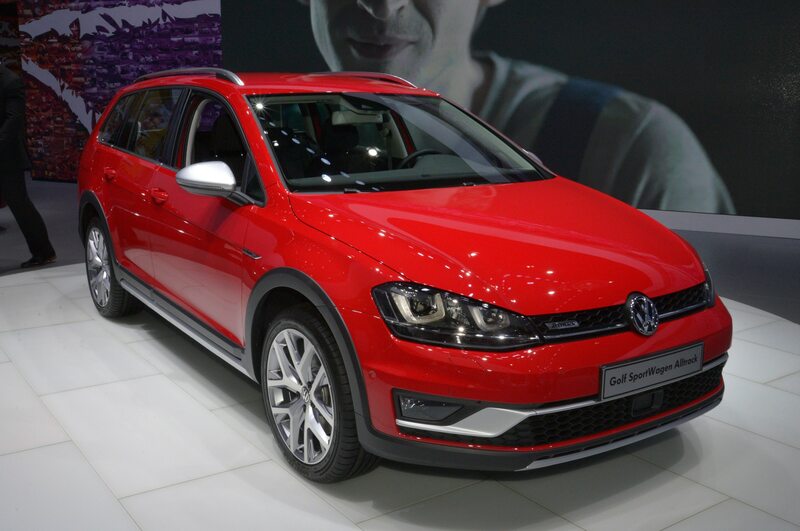 The new Alltrack model, which was first shown at the 2014 Paris auto show, builds upon the regular Volkswagen Golf SportWagen (previously known as the Jetta SportWagen) that goes on sale this year. 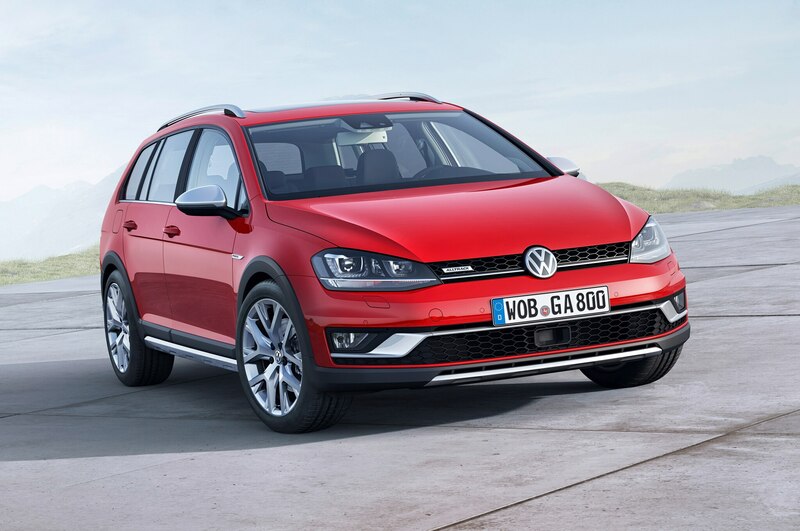 The 2017 Volkswagen Golf SportWagen Alltrack has a ride height that is nearly 1 inch higher than the regular model’s, with new front and rear fascias, plastic fender cladding, and redesigned side skirts. 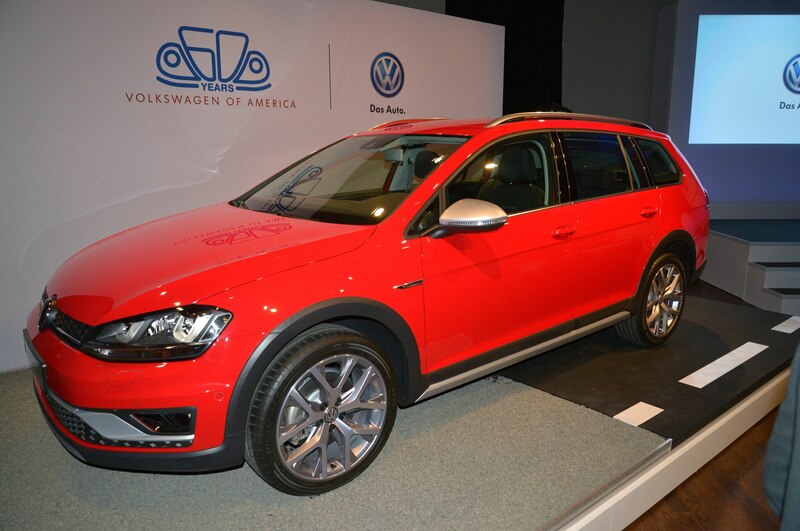 It gives the SportWagen a tougher, more off-road-ready look. 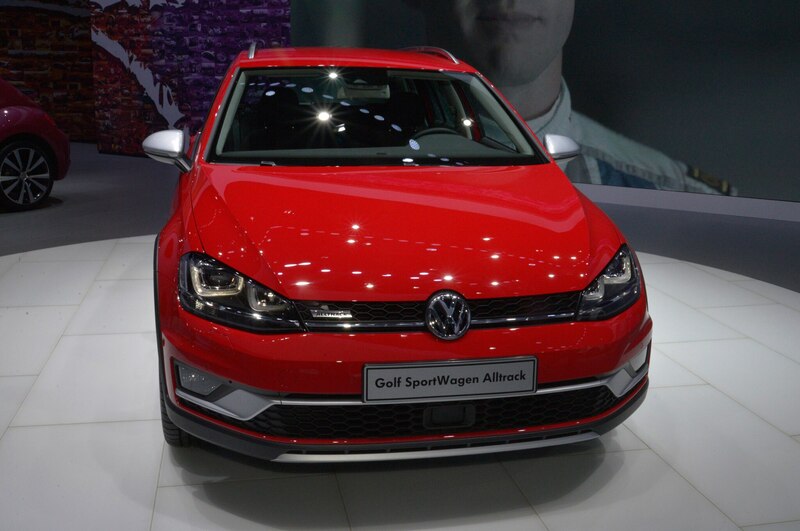 Volkswagen’s 4Motion all-wheel drive saves fuel by driving only the front wheels under normal driving. As soon as the front tires slip, 4Motion sends up to 50 percent of the engine’s power to the rear wheels. The system also uses the stability control to apply the brakes to any wheel that’s slipping in an attempt to redirect power to other tires. 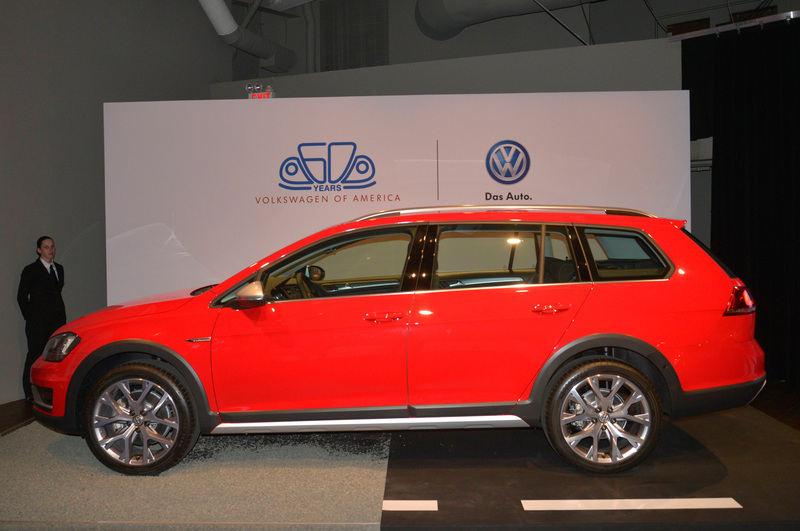 Volkswagen says that both dealers and customers in the U.S. have asked for an all-wheel-drive station wagon as an alternative to small crossovers. 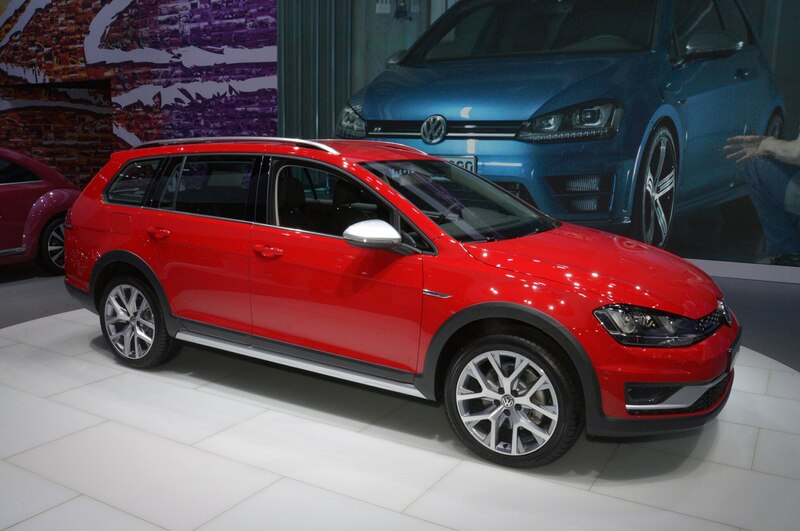 The 2017 Volkswagen Golf SportWagen Alltrack will compete primarily with the Subaru Impreza, XV Crosstrek, and Outback models, as there are few all-wheel-drive wagons available at such a low price in the U.S.
Pricing for the 2017 Volkswagen Golf SportWagen Alltrack has yet to be confirmed, but expect the addition of all-wheel drive and the more rugged cladding to bump prices up compared to those of the non-Alltrack wagon. 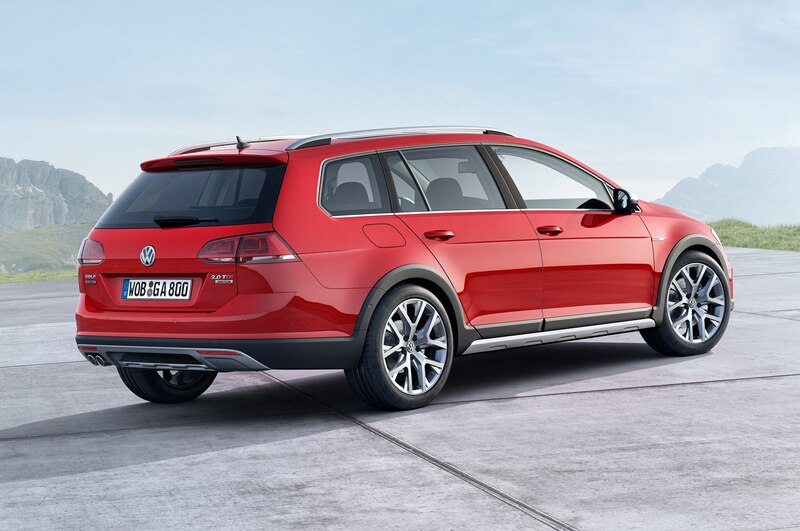 The front-wheel-drive 2016 Volkswagen Golf SportWagen starts at $22,215 (with destination) with a 170-hp, 1.8-liter turbo-four gas engine, or $25,415 if buyers pick the 150-hp, 2.0-liter turbodiesel engine.